1. There will be a swell on Labor Day... but it won't get good until Tuesday; when you're back in your cubicle. 2. Your brand new, custom shaped, stand up paddleboard ripstick will be delayed... and the shaper will blame the glassers. Ain't gonna let you down. 3. There will always be toilet paper in the DogPatch bathrooms. 4. If you thought your 8'6 stando was short enough, you'll be ordering an 8'2" in a couple of months. 5. In a pre-surf session frenzy, you will someday forget to tighten the FCS/Futures set screw and your $100 carbon fiber side fin will find a new home on the bottom. 6. The person serving your breakfast at Pipe's Cafe will be at least a 9.5, most likely a 10. 7. There will be a stingray in that last two inches of water. 8. The amount of people surfing and the water temperature will continue to be directly related. Dude you nailed it! so funny! 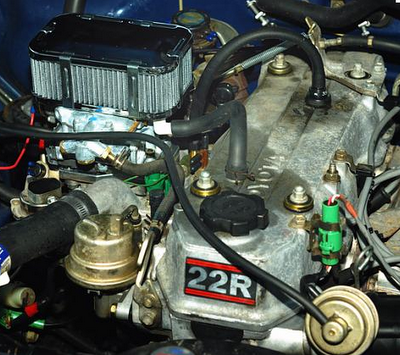 I had that very engine installed in my 84 toyota truck after i cracked the block on my original motor-bajaing with my now wife-broke the radiator mounts-rubbed a hole in the radiator-blew the engine an hour later-a CAST IRON toyota block-the 22R was amazing-got it out of long beach-those things are un killable! Heres one you missed-along with toilet paper someone will also have apparently blown their spinchter gasket all over the wall and toilet at Dogpatch!! Jon, good catch on the missing one at DP. It's so true.